$450 billion is lost every year because of employee disengagement. Mike Bahr, a senior research specialist for Haworth, explains how revived company culture can help solve the problem. The world is awakening to the importance of company culture. Try searching Google for it and you’ll find that search results turn up over 400 million hits in a fraction of a second, including stories in Forbes, the Wall Street Journal, and other respected business publications. Why does culture earn so much press? Because it’s critically important, often misunderstood, and impacts the bottom line. Company culture (or organizational culture) has finally become a topic that keeps leaders awake at night. Most simply, culture is the personality of a company, which contributes to its sense of order, continuity, and community. Culture is partly described in how your organization runs: corporate procedures, employee manual, and standardized workflow. It is also described in employee protocols and behaviors: how you dress at work, how you greet visitors, and the stories you share. And it is described by what you offer: the services, products, or intellectual advancements generated by your company. A healthy organization will shift its culture periodically. These shifts occur at different points in a company life-cycle and align with major changes in business goals, for example, when innovation becomes more important to develop new products or services. Shifts that occur too late to eloquently reflect business changes are commonplace, and announced by striking headlines such as “15 percent layoff” or “Management forced out”. At the heart of employee motivation resides their own understanding of and alignment with company culture. Engaged workers are the product of an environment in which they are valued. When people are supported to achieve their best work, they are motivated to perform at their highest levels to obtain company goals. Misalignment of employees and company culture can have a negative impact on your business. The book Change Your Space, Change Your Culture: How Engaging Workspaces Lead to Transformation and Growth reports that companies with low employee engagement suffer from a 32 percent decrease in operating income. Thirty-two percent is a remarkable number that should encourage more conversation around this issue. If we agree culture is important, shouldn’t we understand how to identify it? The Competing Values Framework is a proven model describing company culture. Its framework consists of four core values that represent opposite (or competing) approaches for driving innovation and effectiveness. Each quadrant — designated as Collaborate, Create, Control, and Compete — illustrates a culture type. For example, a Create culture concentrates on doing things first by differentiating itself externally with a high degree of experimentation and individuality. No company exists entirely within one quadrant of the culture. Nor should it, as certain cultural traits from each of the quadrants are important for a healthy organization. In fact, each company work group or department may have different cultures, and they may only partially align with the overall company culture. For instance, a quality assurance department with an emphasis on rigor and process (Control culture) will be much different than a research and development department, which may be focused on innovation (Create culture). In the past, space has been viewed as a cost center, and a drain on the bottom line. Recent shifts towards a human-centric business model recognize space as an enabler of effectiveness and innovation. Our highest achievement as designers is to understand and efficiently support the disparate needs of the workforce. Developing a useful program for space needs is a necessary and complicated part of any project. Oftentimes missing is the evidence for certain spatial decision, such as the size or number of meeting spaces. Happily, the different culture types provide a grounded rationale for design decisions. For instance, a work group that is mostly a Control culture doesn’t require as much collaboration space, and will benefit from more formal, “heads down” spaces than a Create culture. 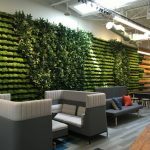 The design of space can impact the bottom line either directly, by helping or hindering the flow of work, or indirectly, by impacting the happiness and engagement of employees. Architecture, interior design, and furnishings provide a tangible way to support — or even change — the culture of an organization. The realization that design is useful is a welcome change. And what of that $450 billion? It’s the amount Gallup believes is lost every year due to disengaged American workers. This underscores that engagement — and successful organizational culture — are intentional by design and not the product of default or serendipity. How can your organization increase performance? A cultural assessment of the workspace might be a valuable place to start. For more information, check out “How to Create a Successful Organizational Culture: Build It—Literally“. This article was sponsored by Haworth. What decisions are you allowed to make? How much evidence do you need to have before making a decision? How much consensus do you need before making a decision? How much approval do you need before making the decision? How many decisions that affect you are made for you? Once those 5 questions are answered my guess is the optimal layout will be determined. well said. I like your office floor pictures. It might take more than just that, but it is a good start.